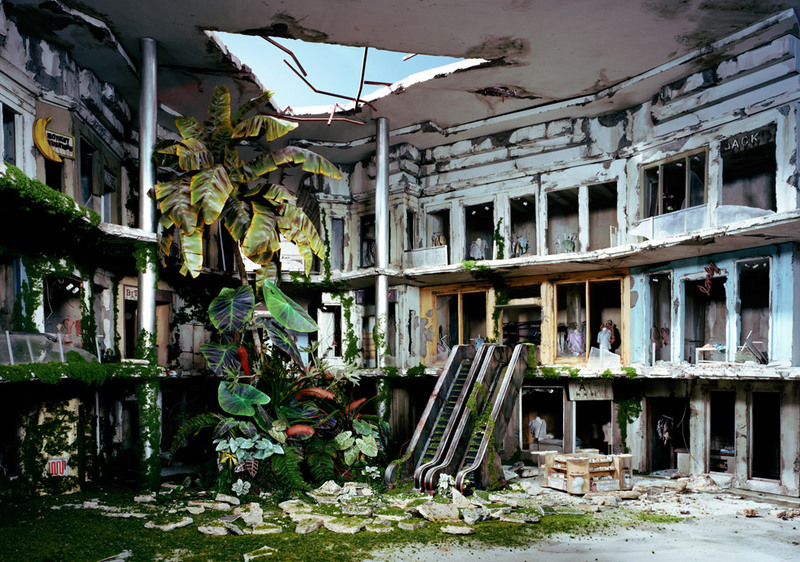 Lori Nix’s work is featured in “Post Human Utopia” at The Lodge Gallery in New York City from April 22 – May 31, 2015. Will our ever-expanding footprint on the natural world lead to an ecological collapse and a mass extinction of the human race? Will it be our meteoric advances in the development of artificial intelligence that does us in? Perhaps a biochemical calamity or a nuclear war will be our undoing. There are a lot of dark scenarios in which the world might go on without us. In his book, “The World Without Us,” Alan Weisman poses a fascinating thought experiment: if you take every living human off the Earth, what traces of us would linger and what would disappear? Will the footprint of humanity ever fade away completely or have humans so irrevocably altered the environment that the impact of man will continue to shape the earth’s landscape far beyond the days of our departure?